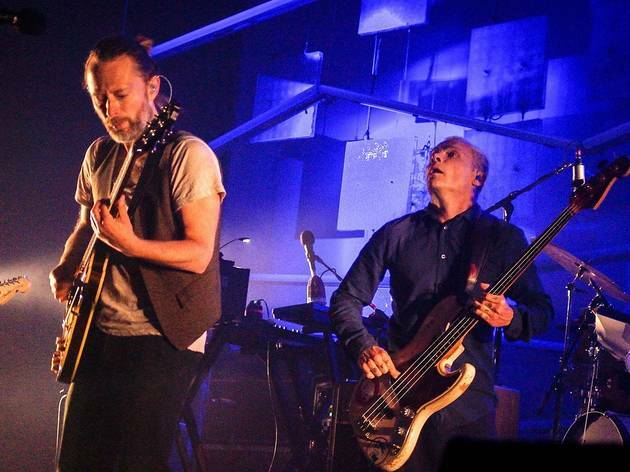 Photograph: Josh Mellin Thom Yorke, Flea and Nigel Godrich run "AMOK" with their supergroup Atoms for Peace in Chicago's UIC Pavilion, October 2013. 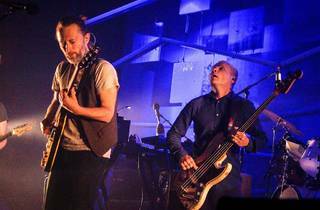 The eccentric Radiohead frontman steps out on a rare solo tour, joined by longtime collaborator Nigel Godrich and visual artist Tarik Barri. Expect a set spanning his solo works The Eraser and Tomorrow’s Modern Boxes as well as Atoms For Peace’s Amok. In the opening set, experimental cellist Oliver Coates peddles his eclectic beats.